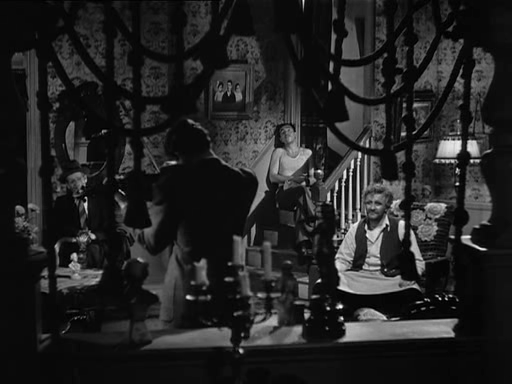 A gifted violinist (William Holden) disappoints his father (Lee J. Cobb) when he pursues a career as a prizefighter in order to earn money for the family. 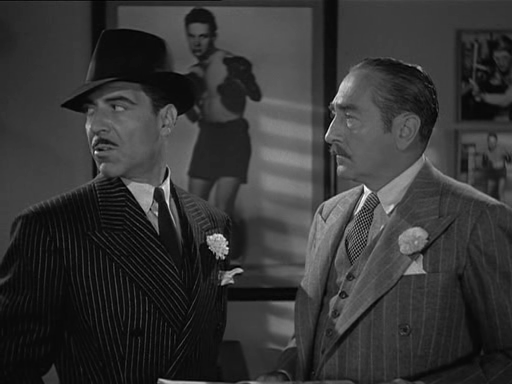 While an ambitious manager (Adolphe Menjou) and his loyal girlfriend (Barbara Stanwyck) — who Holden falls for — do what they can to keep Holden in the game, their influence is limited when a local gangster (Joseph Calleia) wants a piece of the action. 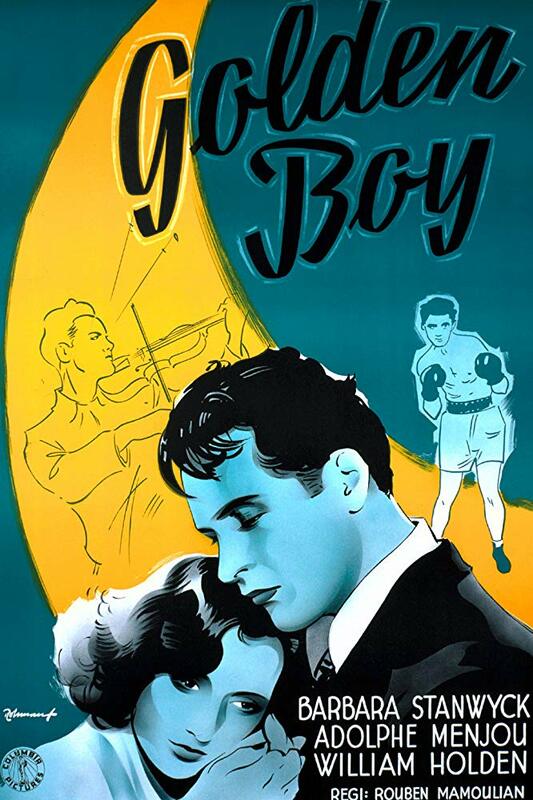 Peary notes that while “four writers ‘Hollywoodized’ Clifford Odets’ gritty play,” the “story retained much of its original power and its anti-boxing message”, adding that “this is a prototypical boxing film in that it’s about a decent boy from the ghetto who is hardened by the boxing business and his striving for materialistic gain” — though in a twist, the film “doesn’t have the boxer’s girlfriend try to get him to quit the ring”. 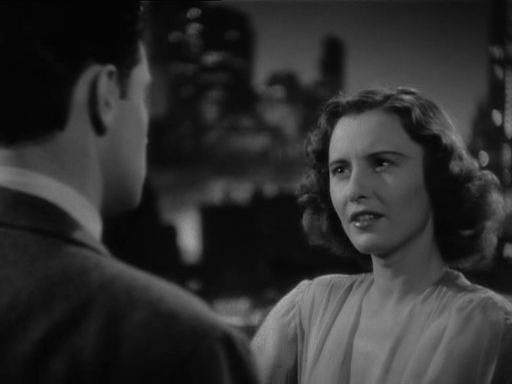 Peary argues that the “film is schmaltzy, Cobb is overbearing as the music-loving papa, and there isn’t enough fight atmosphere”, but it “never loses interest” given that “Rouben Mamoulian’s direction is satisfactory” and “newcomer Holden, looking handsome and energetic, and the fetching Stanwyck, who took him under her wing, are an appealing screen couple”. Meanwhile, making the film look fantastic are “two of the best” cinematographers, Nicholas Musuraca and Karl Freund. However, while there’s much to commend about Golden Boy, it’s not quite must-see viewing. Cobb’s over-the-top portrayal quickly has us annoyed rather than sympathetic for his plight: indeed, Holden’s choice of boxing over music makes sense as a way for him to distance himself from stifling parental expectations, thus complicating our sense of what, exactly, we should be hoping for as the outcome for this gifted yet conflicted young man. No, but it’s certainly worth a look for its historical importance. A tentative once-must, for its place in cinema history. I’d seen this once before, though it’s been a long time since I read the Odets play. The film does seem to follow the play rather closely (aside from giving it a happy ending). I’m not sure why it took four people to do the adaptation – that seems odd (though, to me, it always seems odd when the number of people adapting a piece grows – but that’s Hollywood!). I’ve always felt there was something kind of unintentionally comical about Odets – in his work, he has an odd uber-intensity that’s often mixed with a singularly purple language (the kind that normal, everyday people don’t use). It may have been toned down in this adaptation (it seems to have been, though there’s still some over-the-top dialogue). Nevertheless, Odets has never been a particular favorite of mine. Maybe that’s why I enjoy the Coen Brothers’ ‘Barton Fink’ so much – since it pokes fun at Odets’ nature. I don’t agree that Holden’s character leans toward boxing “to distance himself from stifling parental expectations.” That would imply resentment towards his dad but the film gives absolutely no indication of that; Joe clearly adores his father. In fact, Joe actually says he’s drawn to boxing mainly for the money – to make a name for himself faster than he thinks the violin would (and so that he can make more of a real contribution to his family in a shorter amount of time). I also don’t think Cobb goes overboard in his portrayal of the Italian father. To me, it comes across as authentic – I’ve known Italians who act exactly as Mr. Bonaparte. 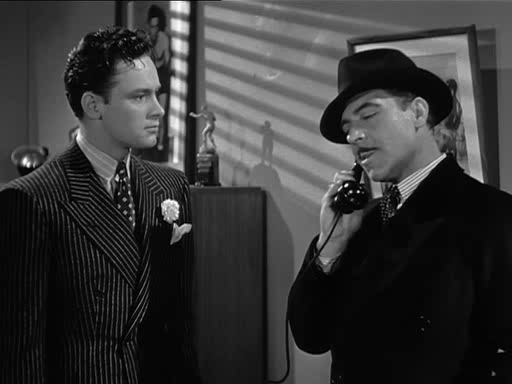 I rather like Cobb’s performance – along with the ones given by Edward Brophy as Roxy and Calleia – who, intriguingly, comes off as vaguely macho-homosexual. (“You want to see a musical tonight? I got tickets.”) It makes little sense that he would want (as he claims) a large piece of Joe’s career without expecting any financial gain from it. Just because he loves seeing a good fighter fight and no other reason? Hmm… doubtful. The main actors are fine but I mainly find them serviceable in driving the narrative. Director Mamoulian does a typically impressive job; he moves the story along rather seamlessly (and I do think there’s plenty of boxing). Those who have seen ‘Frances’ (with Jessica Lange) know that ‘Golden Boy’ was the Broadway hit that Frances Farmer starred in – and that she expected to repeat the role of Lorna Moon on-screen. Of course, cinema history is full of instances in which actors who created roles on Broadway were turned down in favor of ‘box office names’. (That’s also Hollywood!) But it was apparently a crushing blow to Farmer. While this isn’t a film that appeals to me greatly personally, I think film fanatics are likely to find it a solid film experience of the period. I can definitely see your point. I’m reading quite a bit into the dynamics between Joe and his father, perhaps due to my own personal experiences with such things. I had originally written in my review that I felt like sufficient “musical atmosphere” was missing from the film, not “fight atmosphere”. 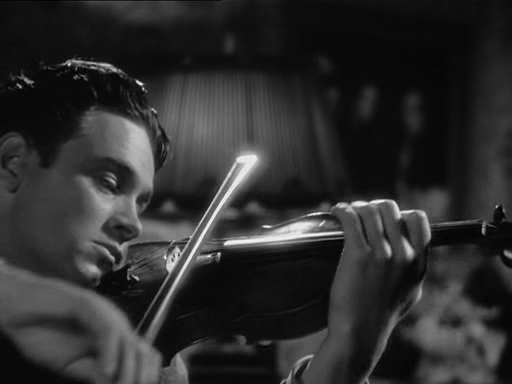 Then I deleted it because music is clearly there in earlier sequences, and we see him looking at his violin with longing when he happens upon it in a drawer later on… But the storyline is so focused on his relationship with Stanwyck, and his desire for money and fame, that we lose the music-loving thread. And I guess that’s why I tied it (somewhat tenuously) back to parental expectations. It could be that Joe’s father simply knows how much Joe adores music, and his disappointment on behalf of his son comes across (for me) in a really heavy-handed way. This is just a guess, but perhaps part of what’s behind the father’s impulses is that he’s parenting for two (since mom is not around). It could make him come on a little stronger.